Want to know the truth about the hiring process? Most companies hire from within. While not at all surprising, this tidbit of information is not only valuable to the millions of job seekers, but to recruiters and hiring managers as well. According to Career XRoads’ annual Sources of Hire survey, out of the 200 companies and firms polled in 2011, internal movement and promotion accounted for 41 percent of their hiring. Again, nothing new, right? Well, perhaps you will learn a little more from looking at the reasons so many companies choose to promote their own. On average, it costs companies 1.7 times more to hire externally, according to an article from TIME‘s Moneyland. Not only that, but 40-60 percent of external hires are unsuccessful compared with 25 percent of those hired internally. 1. Design an internal recruitment policy. This seems like a no brainer, but step one can actually be a challenge. Before a company decides to recruit internally, it must establish a plan. Who needs to be involved in the process? It is the job of the HR department to provide guidance for the internal recruitment process, but understanding who else needs to be included is key. The software developers, the company’s chief information officer, people from the IT department and HR personnel: These people are all important when it comes to designing and executing the recruiting plan. Also, setting clear communication rules in place for the internal hiring process is vital. The policy must specify who can apply for internal vacancies and provide full details of open positions (salary, benefits, department location, etc.). Is there a time frame an employee needs to be in his or her current position before applying for a new one? Do employees need to inform their current managers before applying for new job? Can the marketing manager encourage someone else’s employee from sales to apply for an open position in marketing? Questions such as these need to be considered when establishing the company’s internal recruiting policy. 2. Get the right software. How will you track applicants? 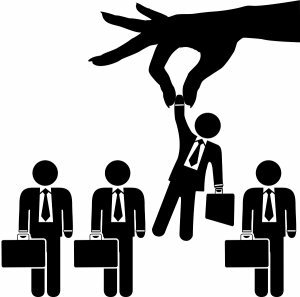 Having the correct hiring system/software is crucial to a successful hiring process. Companies need a system that produces an efficient tracking system, allows collaboration, rating and permits commentary on candidates. Cisco established a successful recruiting system called Talent Connection and Google adopted Magnet, a site in place of its internal job board that provides Google employees with information on internal career paths and mobility. 3. Promote, promote, promote. HR staff should educate managers and employees on internal recruitment to build awareness. If jobs are available, let them be known! Direct employees to a specific web page for job opportunities, send out all-company emails and advertise vacancies on the company’s social media accounts. Current employees will not apply if they do not know the need is there. 4. Encourage employees to apply for jobs. This step is directly connected to step 3. Managers and supervisors must engage their employees and push them to apply for open positions within the company. Seek talented, qualified and diverse applicants. If you see that one of your employees would be a great fit for another position, why not direct him or her and possibly help further advance the individual’s career? Employees are more likely to apply if he or she has support from his or her supervisor. 5. Screen employees carefully. A good employee in one position or department doesn’t mean he or she is the right candidate for a different position or a different department. Talk with managers and supervisors for references. If permitted, look at an employee’s files to see the individual’s past employment and behavioral records. 6. Don’t play favorites. Everyone has a little bias in them, but do not let this affect your judgment when it comes to internal hiring. Close friends and/or relatives should receive equal consideration to all other applicants. Hiring or promoting someone who is personally connected to you or others in your department can pose risks. What happens if there is a personal disagreement? Can all parties remain professional and separate personal from professional when in the work environment? Assess these questions honestly. 7. Try video interviews. The internal hiring process doesn’t have to be typical. Give applicants a way to express themselves and show off their skills and creativity. A video can tell you a lot about a potential candidate. Were there any grammatical errors in the text included? Did the applicant use colors, font type, themes and phrases consistent with the company brand? How original was the video? As they say, actions speak louder than words. 8. Offer feedback. Always tell candidates if they weren’t selected and why. Give tips and advice for the employee to continue to grow and develop in his or her career. Offer email alerts when similar jobs become available in different departments. Reversely, provide a platform for applicants to assess the hiring process and share their experiences to analyze strengths and weaknesses in the internal hiring policy.